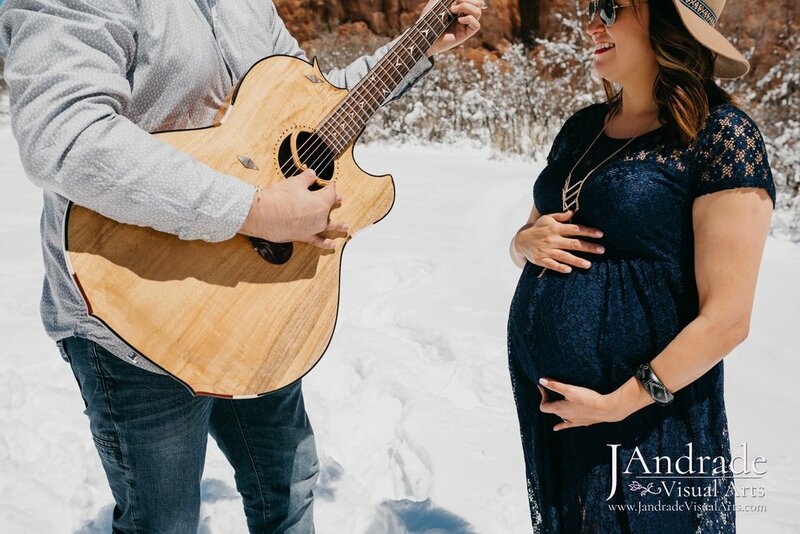 Welcome to this snowy but cozy couples maternity portrait session! I had such an adventure seeing and walking on snow for the first time while capturing Maribel & Gabe's portraits! 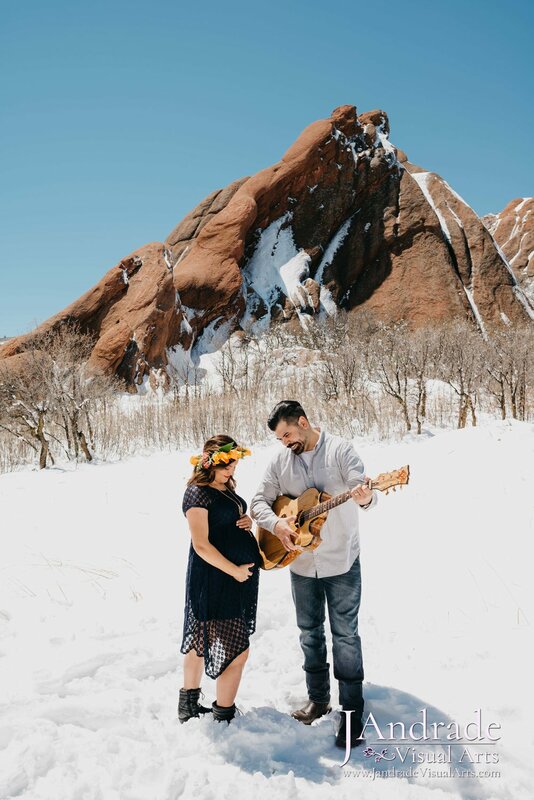 This is the second maternity session from my trip to Colorado, such a beautiful state with even more beautiful loving people in it. Maribel and Gabe have been married for 5 years and expect their first baby girl in June! She came up with their baby girls first name, Ruby, and he picked her middle name, Oro. Ruby Oro, that is so freaking adorable! We started early on a lazy Sunday morning inside Maribel and Gabe's apartment. The snow accumulated over night so that by morning I would wake up to a sunny winter wonder land! We got lucky with the snow in the last week of April! Fur Babies steal the show! Maribel and Gabe's first babies were Little Muffin and Little Cheeto, some of the most loving chihuahuas I've ever met! Before Colorado there was New Mexico where these two met, got married and rescued their two pups. Gabe has even written songs about them! They kept them when they moved to Colorado and plan to keep them when they move in to their new home after baby Ruby is born. The second half of the session we went off to Roxborough State Park and played in the snow! We had planned for Saturday evening but after we saw there was a snow storm coming, we had to reschedule our session for Sunday morning! Having a back up day is always good especially when traveling and knowing you will only be there for a limited amount of time. Always think about outfit changes. 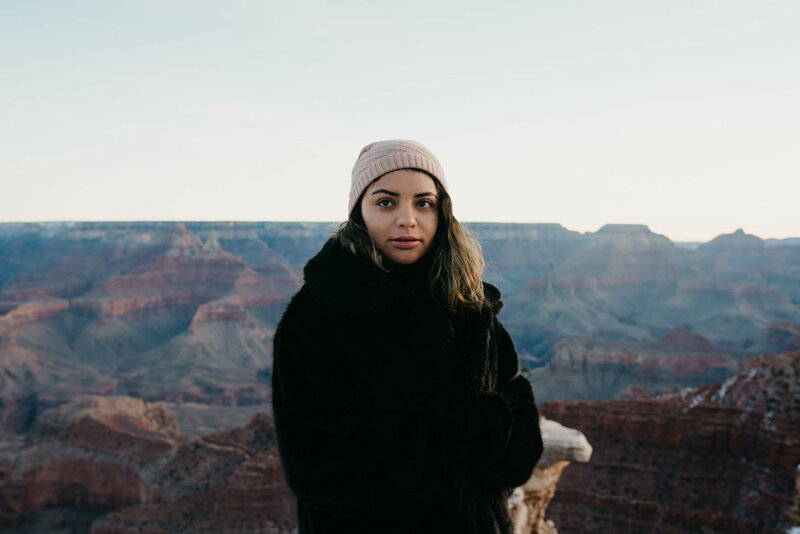 Are you a the type with a less is more attitude and want all your portraits in one outfit or a more for more attitude and want to change your outfits throughout the shoot! I love when clients have at least two outfit changes to give different looks to their portraits! 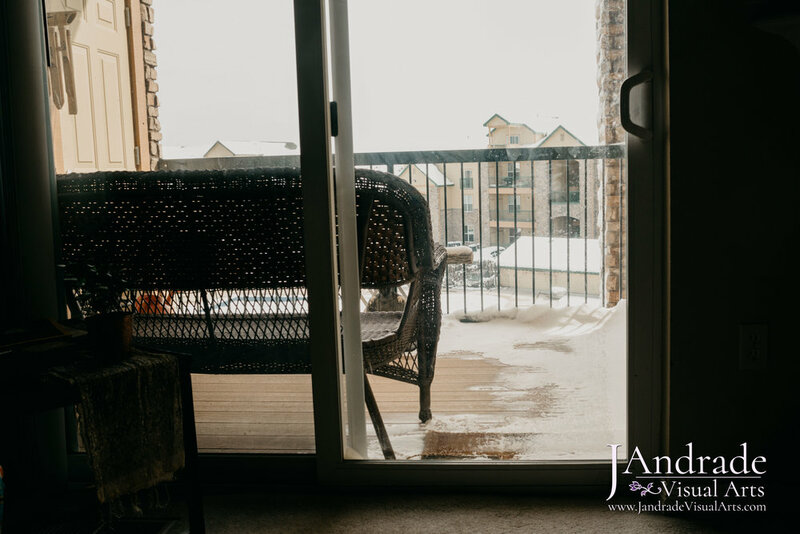 Not to mention two different locations is always a great idea! Their first locations was their own home, something simple and personal. I shot this session alone side my sister Marixa with Viva la Marx Photography. See more of this session HERE!